Irish dancing attracts a wide cross section of the population and is a great form of healthy exercise for everyone. 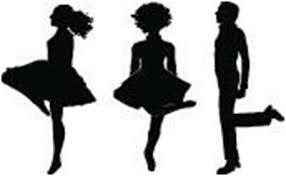 Irish dancing is enjoyed by young and old – children doing so more competitively while adults tend to do it recreationally. Irish dancers, especially those considering it as a career, need to adopt a professional approach to it. Just as in sport dancers need to know how to protect themselves from injury while dancing. Competition dancing requires a short intense period of dance but many hours of training whereas set dancing involves longer periods of continuous moderate activity. The body of the dancer needs to be prepared for the level of activity they undertake. 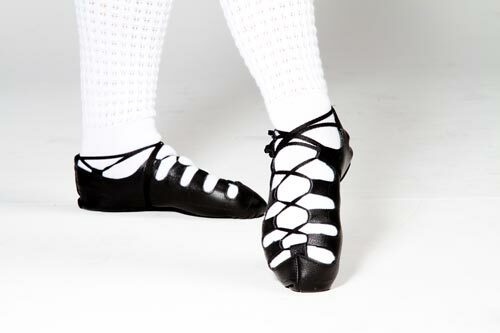 Irish dancing needs a combination of good flexibility, strength + endurance, core stability and balance. Some steps require significant flexibility for the trunk and the lower limbs – such as high kicks (needing flexible hamstrings) and the ‘rocks’ and ‘on toe’ step (requiring flexible ankles). Typically Irish Dancers do not have much strenuous movement of the arms – none at all in competition – but set dancing does include arm movements. Significant strength is required for intense exercise. Strong calf, hip and core muscles are needed for the jumping + hopping used in the execution of many steps. Training for competitive dance can involve many hours of daily practice so a good base fitness and endurance are necessary. Core strength and balance help to maintain good posture during performances, especially when supported standing on one leg and transitioning between steps. Good technique will benefit from good muscle control, core stability, balance and co-ordination and will help to minimise injury to the feet and knees. The most common injuries associated with Irish Dancing are associated with overloading of the tissues during training and performance. These include ligament and joint sprain in the foot, calf muscle strains and bone stress injuries – stress fractures of the feet, shin splints and knee areas. There is particular risk of overloading the tissues of actively growing children – be careful about the total ‘training load’ - especially in the lead up to competition when practice can run into many hours daily. Certain steps (Rock Step, on toe and jumps) are associated with a high risk of injury. Poor step technique will increase the risk of injury. 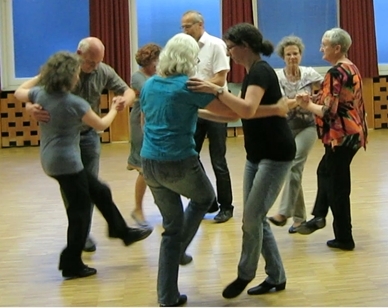 Stamping the floor with the foot may cause impact injuries in older dancers. The best way to avoid injury when performing Irish Dancing is to be well prepared. Be well trained with a good mix of baseline fitness, a strong ‘core’ and strong leg muscles. Do an appropriate warm up before dancing and a warm down afterwards. Warm ups should include some light aerobic activity (like jogging on spot), ‘dynamic’ stretching using movement (like swinging a straight leg to stretch hamstrings) and some step drills, which build up in speed and intensity towards performance levels. Warm down should include ‘static’ stretching of the muscles used during dancing and gentle aerobic activities. Monitor potential ‘hot spots’ in the bones of the lower limbs - bone aching indicates overloading of the bones and and this needs you to reduce the total time spent dancing time in order to allow adequate recovery. Running, swimming or walking are all good methods of ‘cross training’ to enhance overall aerobic fitness and endurance. Having correct foot postures, excellent step + landing technique and ankle stability are all important for avoiding leg and foot injury. Good dancing shoes will also protect the feet and legs. Heavy stamping on the floor may aggravate bone and joint injury. Irish musicians should think of themselves as being like sportspeople. They participate in intermittent bouts of intense activity, requiring a lot of concentration, potentially for prolonged periods of time. 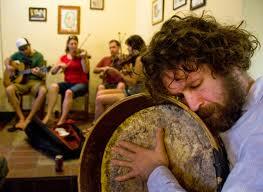 As such they are likely to suffer injury from time to time related to the playing of their musical instruments. By identifying the things that increase their risk of injury they can minimise them. The things likely to cause injury include poor playing posture, poor seating, poor technique (grip, forces being used, angle of hands/wrists), static positioning (i.e. shoulders), repetitive movements and prolonged playing without adequate rest periods. Other issues could include the individuals overall stress level (tension) and risks carried over from their normal workplace - like working all day with computers. Prevention is better than the cure. 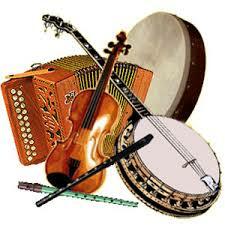 There are a number of things you can do to avoid injury while playing tunes. Firstly become aware of, and avoid, things that could injure you. Check that your instrument set up and your playing technique are optimal. Like sportspeople, warm your body up by stretching and ‘activating’ the muscles used when playing. Take suitable rest breaks - move + stretch between tunes. This is especially important during long sessions. Pace yourself and avoid getting excessively tired!! If you regularly play for long sessions start to think like an athlete: practice regular stretching, do core stability and strengthening exercises appropriate for the level of performance you are at. Get strong enough and develop muscle endurance by doing suitable exercise programmes such as gym work. Avoid slouched postures where the body is bent forwards, leaning sideways or twisted to one side. Similarly the head and neck should not be bent or twisted. Avoid twisting in your seat in the group - sit ‘straight’ on the chair facing forwards + into the middle of the group. Do not excessively curl your wrist or overstretch the fingers. Excessive stretched positions should be avoided as they can over stress the tendons. .Avoid having anything too tight around the wrist, such as tight cuffs or watch straps, as these can pressurise the tendons moving against the bone at the wrist. Use good playing technique and do not grip or squeeze the instrument more tightly than is necessary, as this also stresses the tendons a lot.